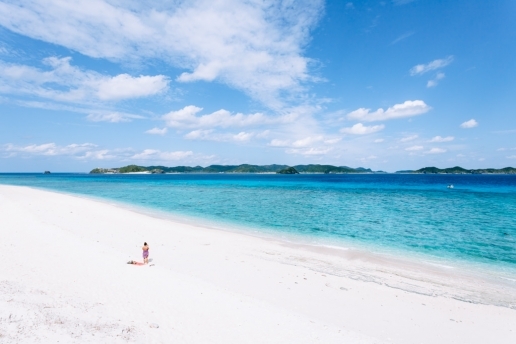 With a population of less than 300 people, Aka Island (also known as Aka-jima) is a sleepy village island. 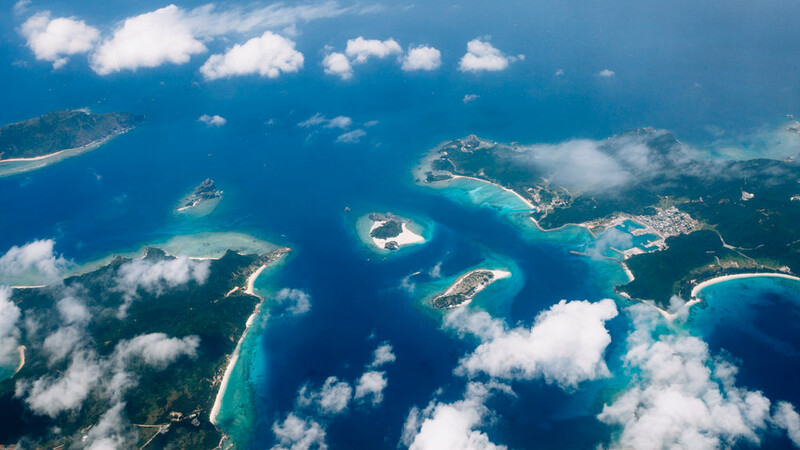 Island-hopping day trippers and scuba divers bring the island to life during the day, however the numerous hidden beaches and hilly geography make it a real challenge to spot anyone even at the busiest times. 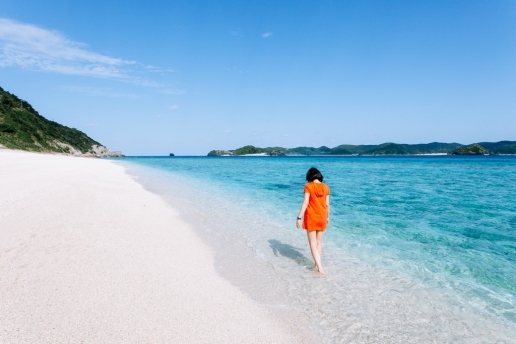 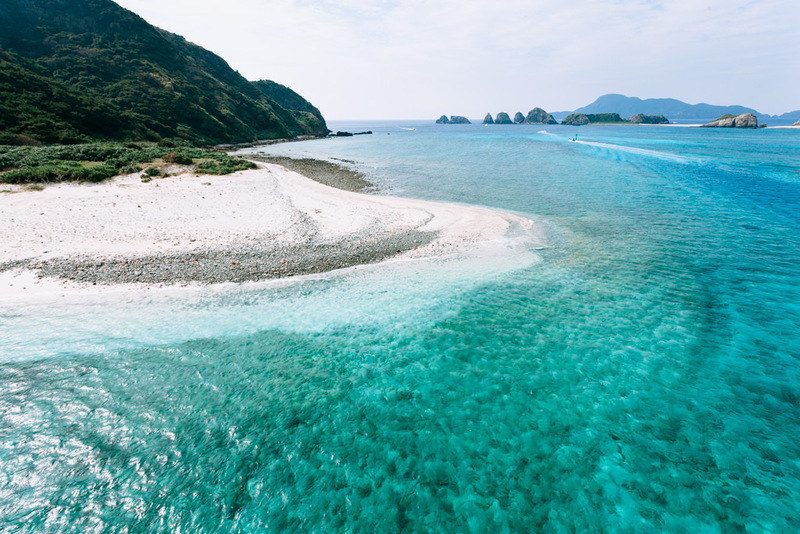 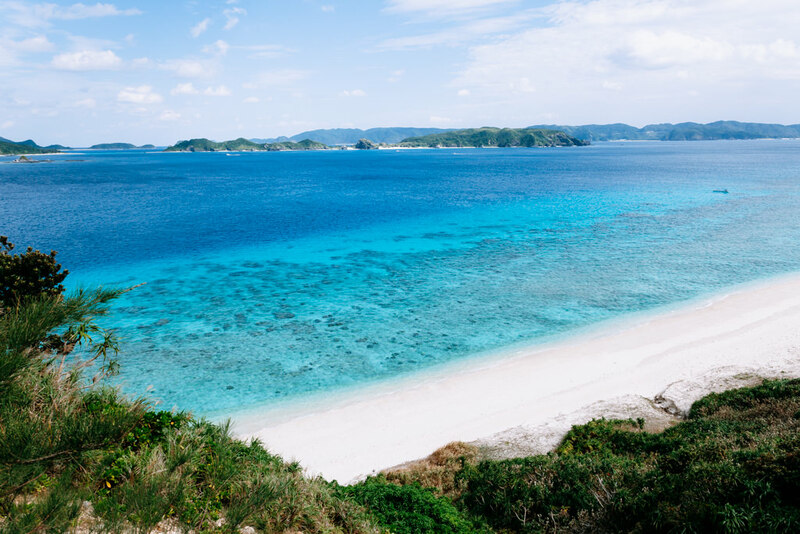 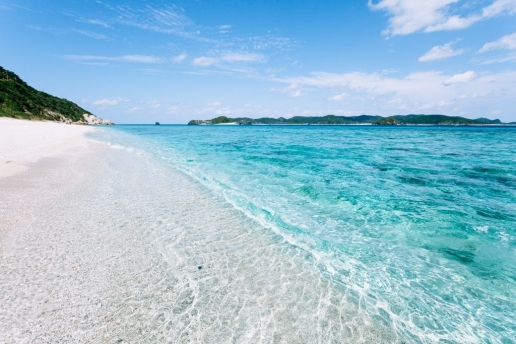 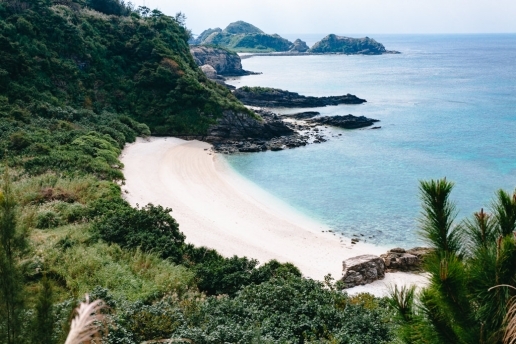 Nishihama (Nishibama) beach located at the north shore of Aka-jima, is often referred as one of the most scenic beaches of the Kerama Islands, with great snorkeling spots (at the reef edge).